Seeking the American Dream, the first Klessigs arrived in America in 1848 from Germany and carved a 160-acre homestead from Wisconsin’s wilderness. Fueled by passion and perseverance, they embraced a future deep-rooted in tradition, social responsibility and a love of the land. Friedrich August Klessig and Elizabetha Wagner Klessig carved Saxon Homestead Farm from the Wisconsin wilderness. 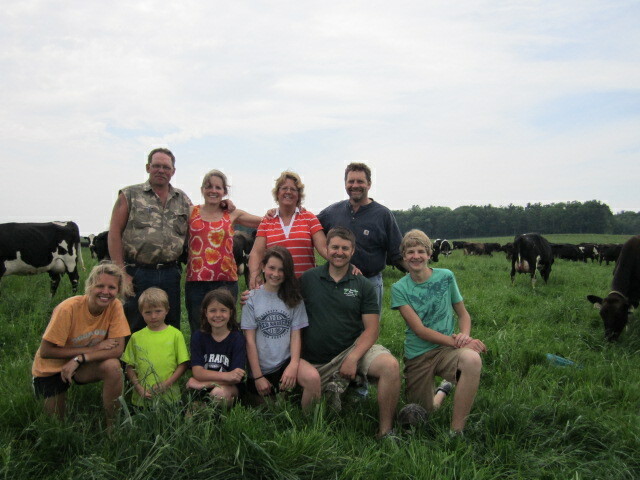 Thus begins the legacy of Saxon Homestead Farm and the Klessig family, one that continues to endure a century and a half later with the family’s fifth and sixth generations. And, the fifth and sixth generations would not be here today if the following love story had not found its way into the fourth generation on Saxon Homestead Farm. 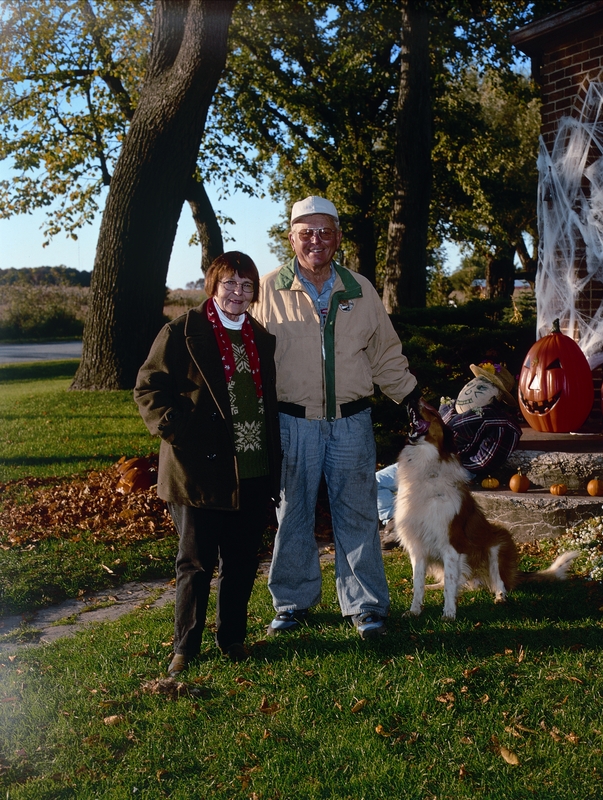 Ed Klessig, a fourth-generation Klessig farmboy, fell in love with Margret Kraft, who came to Wisconsin with her family from Austria in 1923. They married in August 1941 beneath the black walnut tree, planted shortly after the farm was homesteaded, that still lends its shade today in front of the brick farmhouse. 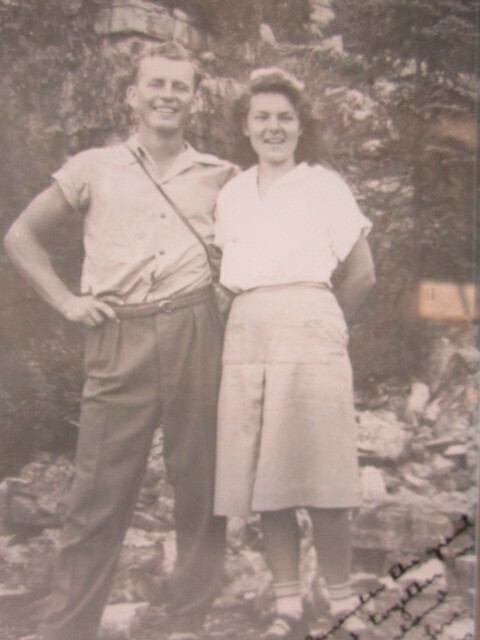 Ed and Margret Klessig in 1940. Together they raised eight children and instilled within them the virtues of self-reliance, social responsibility, and stewardship. Always interested in how children learn, Margret undertook the feat of going back to school while raising children and went on to earn a master’s from UW-Milwaukee in the 1960s. She then fulfilled her dream to become a teacher and flourished in her 19-year teaching career. This article beautifully chronicles her academic journey. Until her death in 2018, Margret continued to receive calls and notes from former students expressing their gratitude and reminding her of the profound impact she had on their lives. Margret was an avid reader and gardener and always took time to appreciate the beauty and magic of Mother Nature. She loved to cook and listen to classical music. Her bookshelves overflowed with a diverse collection of works, with Tolstoy and Chekhov being among some of her favorite writers. Near the front door of her farmhouse, she had a small sign that read, “Dissent Protects Democracy.” She kept herself politically informed and engaged and believed change came from the ground up, not the top down. She especially enjoyed hearing from her grandchildren, whom she loved dearly and to whom she serves as an endless source of inspiration. 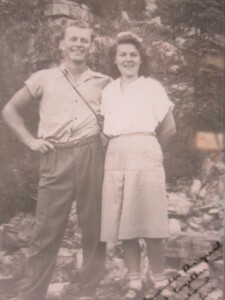 Throughout their life journey, Margret and Ed Klessig walked together every step of the way. They poured their hearts and souls into their family, the farm and the land. They were an indomitable team. Ed and Margret Klessig in 2001 in front of the black walnut tree. “He believed in working alongside his help and family and the dignity of an honest sweat. His only fear was that he might miss some of the joy of work. Members from the fifth and sixth generation of Klessigs. This brings us to the fifth and sixth generations on Saxon Homestead Farm. Today the farm is a family partnership owned and operated by fifth-generation family members Robert Klessig and Kathleen Block-Klessig, Karl and Liz Klessig, their families, and their enthusiastic employees. Throughout the years, members of the fifth and sixth generation continue to witness the magic, power and romance of the legendary black walnut tree planted by the first generation of Klessigs on Saxon Homestead Farm. 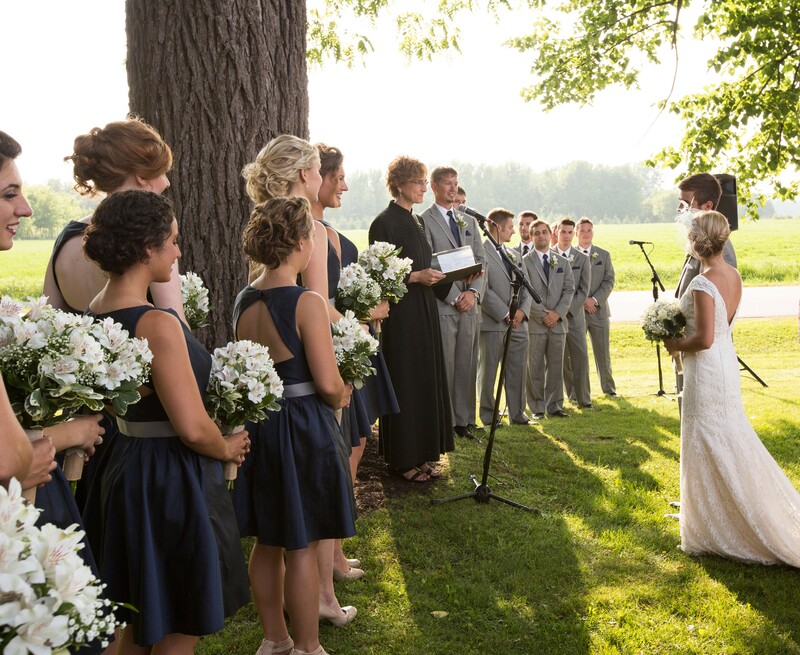 Valerie and Justin say their vows beneath the black walnut tree. Valerie Klessig-Palm, a sixth-generation Klessig, said her vows under this tree in 2014, just as her grandparents Ed and Margret did in 1941, her parents Karl and Liz in 1984, and two uncles and aunts. To see more photographs from the Klessig Palm wedding on Saxon Homestead Farm, please click here.